When you have an overpair in poker with a hand like AA, KK or QQ it is vital that you get the absolute maximum value out of it. The reason why is because these hands don't come around very often. They will also be by far your biggest winners in the long run. Many people at the micros though routinely play their premium pairs far less than optimal even when they have an overpair to the board. More specifically they will win a small pot when they should have won a much bigger one. This ends up having a highly negative effect on their win-rate and therefore overall winnings at the poker tables. So in this article I am going to provide you with 5 surefire ways to start getting much more value with your overpairs. No more winning small pots! The easiest way to win the most with your overpairs is to simply shovel as much money into the pot as possible. 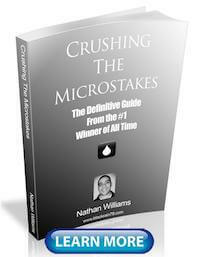 Since most players at the micros are fairly passive, the best way to do this is to just bet, bet and bet some more. As I talk about in my first book, Crushing the Microstakes, your standard line with an overpair against the fish in particular should pretty much always be: raise preflop and then bet, bet, shove. Simple, easy, and wins the absolute maximum. There is no reason why you shouldn't be taking the same line against most of the regulars at the lower stakes though as well. Unless there is a strong reason to believe that they are going to bluff at the pot if you check it to them, then you are just giving them free cards and setting yourself up to win a small pot. It is true that sometimes when you bet they won't have anything and it will force them to fold. This will happen against the recreational players too. This is just poker though. There is nothing that you can do about it. Two people need to have hands in order for big pots to happen. When somebody has 9 high and no draw it doesn't matter what you bet, they are folding. 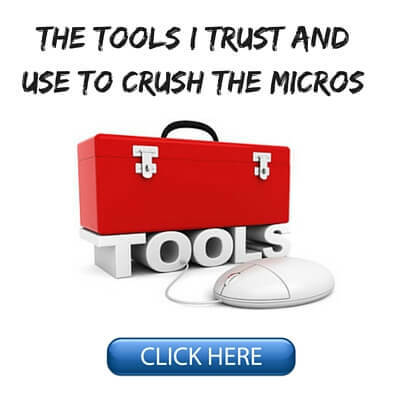 Keep things astoundingly simple at the micros. 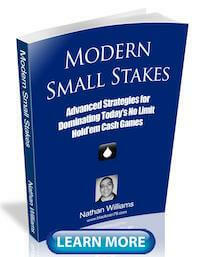 Bet strong and frequently with your overpairs and you will win more. People send me emails all the time though complaining that they never get any action with their overpairs. Every time they bet big their opponents just fold. Well first off, it is almost always a sample size problem. You can't make sweeping judgements like this based off of what happened in the past couple sessions which is nearly always the case. You would need to analyze thousands of hands in Pokertracker to actually state this as fact. But the real reason why they don't get paid off? They are huge nits! We have all seen those people at the micros online playing 18 tables at once. Or the guy in a live game who suddenly plays a hand after folding every hand for the past hour. I can spot them a mile away because I used to be one of them! I don't even need to look at my HUD stats on them in order to see that they only give action when they have the nuts. I absolutely never pay these guys off. In fact nothing tilts me more than giving money to the nits because there is no skill in playing on a bajillion tables at once and waiting for the nuts. I go out of my way to make sick hero folds against these guys all the time. 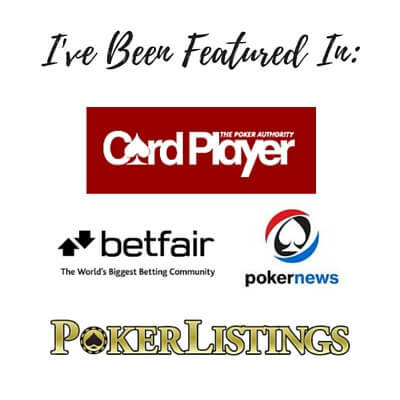 If you want to start getting paid off with your overpairs, then you need to start betting with some marginal hands more often, raising your draws and so on. If you are only going to put significant money in the pot when you have top pair/top kicker, a set or an overpair, then you simply can't complain when everybody starts insta-folding when you bet. It's just so obvious what you have. If on the other hand you learn how to create a crazy table image (or at least give some action with hands that aren't the nuts), then I can guarantee that you will start winning a lot more with your overpairs and all of your other good hands as well. Almost nobody makes good use of the overbet in small stakes games these days yet it is such a powerful weapon. One of my favorite things to do against the recreational players is to just bet twice the pot sometimes with a hand like an overpair for something to do. This is especially effective if I have been isolating the fish and pounding on them of late which is something that I absolutely recommend that you be doing at all times. Rec players view strong bets, and especially overbets, with suspicion. When you show huge strength they see this as weakness instead. They view big bets as a bluff. They see it as somebody trying to "bully" them. So the easy counter to this is to simply bully them with the nuts. Let them play sheriff and call you down with their nonsense and lose. You don't even need an overpair to do this. I do it with top pair all the time too. Once again though, this play will not work if the fish doesn't have anything. You need to always remember that most of the time in this game nobody actually has anything good. You can't do anything to change that. But sometimes if the rec player happens to have a pair or a draw, and you have been creating that aggressive dynamic with them that I talk about all the time, an overbet will set them off and allow you to win an absolutely huge pot with ease. 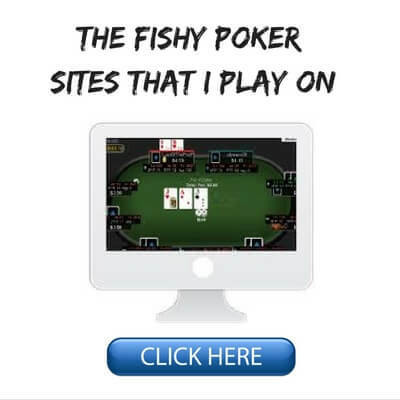 In the video course that I put out last year I showed this in action on several occasions, betting big and stacking the fish often with just top pair. They were sick of being "bullied" by me and decided to make their stand. They were right. I didn't have the nuts. But I still had the best hand. The relentless pressure and big bets (sometimes overbets) caused them to flip out and literally just start handing me their money. 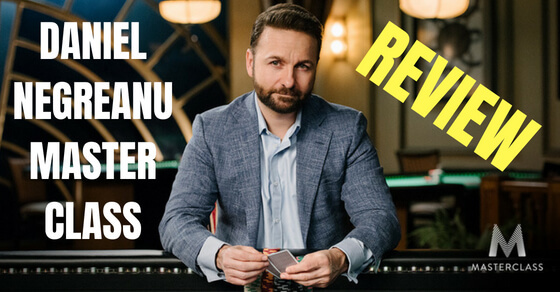 Now even though the best play with your overpairs is to bet, bet, shove against most opponents at the lower stakes these days, it is a good idea to mix things up against the better aggressive regs. These are the ones who will actually be paying attention to the lines you take with certain hands. Therefore, if you do the same thing every single time with your strong hands, they will read you like a book and stop paying you off. This is why point #2 above is so important especially as you move up the stakes. If you can have draws in your bet, bet, shove range for instance, this changes everything. 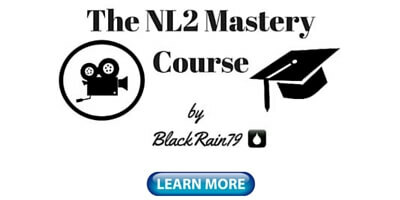 Now they will be forced to give you action more often or risk getting bluffed and laying down the best hand too often. That is a topic for another article though. One of the best ways to start mixing up your value lines versus the better regs is to check/raise the turn or the river with your overpairs. Now it is extremely important that I underscore the point here that I will only ever attempt this play against the good aggressive regs (or the rare maniac fish). The reason why is because these players will regularly pounce on weakness when you check (as they should) and try to take the pot away from you. The vast majority of players at the lower stakes will not do this. Most of them will check behind frequently even with a pair or a decent draw. Same thing with the fish. No point in trying to check/raise somebody who won't bet. Try check/raising your overpairs every once in awhile versus the aggressive regs to confuse them and win more. If you take the same line with your overpairs every time against thinking players you become too predictable and easy to play against. As we already discussed, against the fish you should just bomb the pot with your overpairs and hope that they have something to call you with. Their range is so wide that there is no point in even trying to predict it. But versus the regs (good ones and bad ones) it is a lot easier to put them on a range of hands especially by the later streets like the river. Many people though make the mistake of betting huge on the river, especially if the turn went check/check, in order to get some value. Now this is a perfectly logical thing to do of course. The problem though is that often the reg ends up insta-folding versus their bet and they are left wondering why they can't get paid off. Well as mentioned above, a nitty table image is one reason for not getting paid off. But another important reason why the reg gave them no action is because they failed to consider the board and their opponent's range. Many times the reg would have happily paid off a 40% or 50% of the pot bet but will insta-fold versus an 80% of the pot bet. Since bet sizes are the biggest on the river, it is absolutely a crime against your win-rate to miss these important value bets. Preflop we open raise with the mortal nuts from the button and get called by a Nit in the big blind. He will be set-mining here a lot (small and mid pairs) and have a few broadways as well (KQ, KJ, QJ). Nits will call here frequently with big aces too (AK, AQ, AJ) but since we block these hands so heavily in this example, it will be difficult for him to have them. We make our standard CBet when he checks to us on the flop on this dry paired board with a flush draw. When he checks to us again on the turn we bet again in order to keep getting value as I recommended above. He will often get stubborn with mid pairs like 77, 88 and 99. I would rather get more value now versus these hands then wait for another overcard to fall on the river and scare him even more. He can also call with the heart flush draw here. It is always important to note that with two black aces we do NOT block this draw (definitely a good thing). When the flush misses on the river and the board comes with another 4 he checks to us again. What can he have at this point? What kind of bet will he be willing to call? *These are the only two King hands that would call preflop and then check/call this flop. But plenty of the time he will also have some sort of middle strength full house with a hand like 55, 77, 88 or 99. It is unlikely that he will ever show up with a strong full house here (KK, QQ, JJ, TT) because he would have 3Bet us with those hands preflop. Betting 80% of the pot bet here would be a serious mistake. Betting this much is a good way to get him to fold all of those middle strength full houses that we desperately want a call from! A 40% or 50% of the pot value bet here though will likely get a call from these hands a much larger amount of the time. And if we have an aggressive table image a smaller bet like this might even induce some crazy hero calls from worse hands or a flip out bluff/raise from missed flush draws. Since this is a triple barrel pot, betting 40% or 50% of the pot will easily amount to 15 or 20 big blinds. With top win-rates at the lower stakes these days often being just 5bb/100 or 10bb/100, missing a value bet frequently in a spot like this could easily be the difference between you being a breakeven player and a huge winner. Elite players who crush the games do not miss bets like this. Average players miss them all the time though because they don't think about their bet sizing. Always make sure to consider your opponent's range (with regs, not fish) and how it connects with the board especially on the later streets. This way you can design your bet sizes according to their likely hand strength and get the maximum value every time. 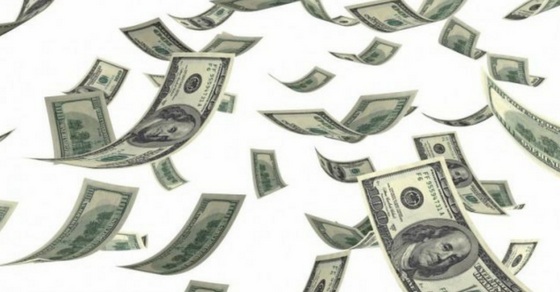 Learning how to win more with your overpairs will have an immediate positive effect on your overall poker earnings. And usually all it takes is a few subtle adjustments in order to make this happen. First off, just step on the gas pedal versus the fish and the bad regs. You can't win a big pot without betting strong and frequently against these player types. And don't worry, they will let you know if you are beat and you have to fold your overpair. Versus the better aggressive regs you can create more action with your premium pairs by mixing in some check/raises sometimes and designing your bet sizes better based off of their range and the board on the later streets. Lastly, versus all player types the easiest way to start winning more with your overpairs is to simply start giving more action when you don't have an overpair. If you always need to have the nuts in order to play a big pot, nobody is going to pay you off when you want them too. 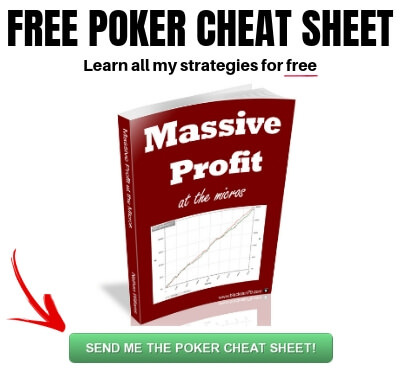 If you want to know my complete strategy for crushing the micro stakes games (and how I created some of the best results in online poker history) make sure you pick up a copy of my free poker ebook. Let me know in the comments below how you play your overpairs. I've recently implemented an unconventional way to play AA. If I have either a raiser and/or 2 limpers I will shove my AA. I'm getting called half the time and am winning 90% of those hands. The other half of the time I'm just taking down the dead money. It works great because players cant fold KK-TT, AKs or AKo. Opponents call me all sorts of names but I don' care. Thanks Dan! If you are playing in games which are that crazy then I would do the exact same thing. Sounds like play money haha. Hey,ive been in games like this. Some wild ultraloose microstakes live can have 3-4 players that never fold ef they have commited even a limp.They are rare though.This strategy may apply as well in microstakes mtt online.At the first 2-3 levels where the stacks are deep,if there is action before you always jam with your pocket aces and kings. There will be a lot worse hands they will call you with. Of course sometimes you will lose to an ace in the river with KK vs A8. But long term you crushed. KK-TT,AK represent top 3% so against an 18/15 raiser you will get called 20% of the time (if they call) and not 50%. And against that range you are 84% and not 90%. It is, as usual, player dependent. At the micros (NL2 especially) it's full of people that will call your shove with any pair but also AQ, AJ, AT and the craziest one with any two cards (I've seen calls with 5 9 off!!! because you will never know and they remember when they won the pot with 3 7 against AA ;-) ). On the other hand a good sized 3bet will often be called by regs only with a fairly small range (that might have called a shove as well; obviously not the NITs) and by the fishes with a such wide range that you will regret not having shoved (I made a 16BB 3bet in a NL2 table and got called by 5 out of 6 opponents; at that point especially OOP things get harder because a flop cbet means all in anyway with a 100BB stack). I have to agree with Dan above. I do much the same and get called a decent amount of the time. It avoids the 'win small, lose big' problem you otherwise get with AA/KK. If you distribute your betting over all streets it ensures you lose the maximum on the occasions you are beat, but opponents frequently fold on the flop when they have missed. Not a good combination. It also means you are making your biggest bet on the River, when your hand is at it's weakest. It also takes post flop play out of it. If you make a simple preflop raise with your aces in early position and lead out on the flop and are raised or check raised on the flop what do you do, right? Especially with a big effective stack size. Short stacked you can just shove, but deep stacked? Its tough. So I just shove preflop so I don't have to sweat post flop play. Glad I could help Paul, Doug Polk is great stuff too. All the best with your poker goals!